Following the success of our National squad last weekend winning the Grand Slam, we are back to the action this week as we take on the Welsh All Blacks, Neath RFC. Neath have had their fair share of troubles over the last few months but it is great to see their commitment and determination to keep this historical club going, which we congratulate them hugely. 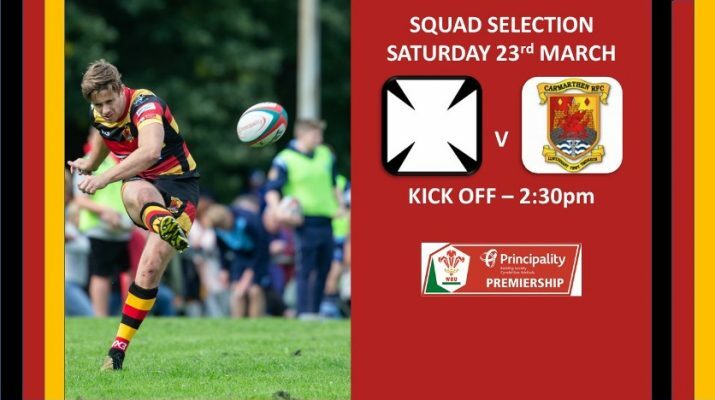 Our last game against Bridgend RFC ended with a disappointing loss so we are looking to bounce back at the Gnoll on Saturday to earn a victory and any extra points we can to keep away from the clubs below us. There have been a few changes to the squad with Aled Thomas returning at Full Back and Dale Ford moving to the wing replacing Osian Knott. Up front Torin Myhill returns to the front row with Thomas ball dropping to the bench. Jac Price returns from Wales U20 duty to take his place in the second row and Richard Bloomfield moving to Number 8, with Lewys Milling moving across to Openside Flanker.